The Bolton Gate Company is the acknowledged leader in the field of rolling fire door technology. The Fibreroll Rolling Fire Curtain has successfully been tested to BS 476 Part 22 for 2 hours fire resistance and has also been assessed for oversize constructions. Fiberoll offers major advantages over traditional steel shutters in building design in terms of fire compartmentation because of its low weight and headroom needs. Hundreds of buildings worldwide benefit from its installation as part of their fire prevention practices. The rolling fire curtain is unequalled in its ability to provide peace of mind while remaining unobtrusive in the ceiling. 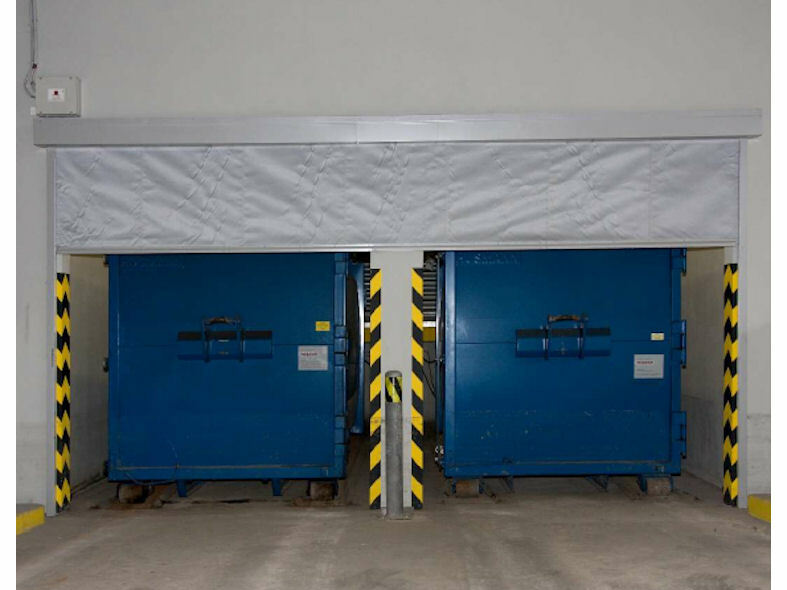 Fibreroll Horizontal Rolling Fire Curtains are perfectly suited to provide horizontal compartmentation between floors of a building. 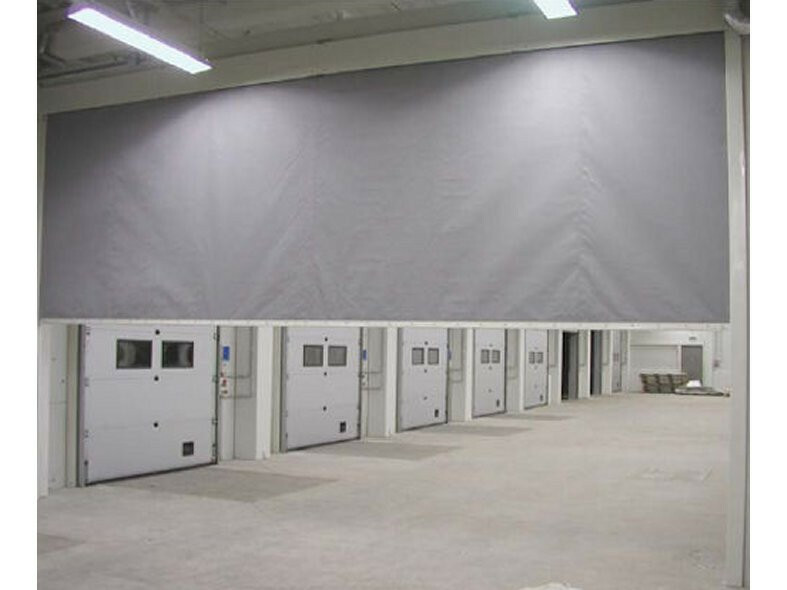 The Fibreroll Rolling Fire Curtain protects openings such as lightwells in commercial buildings schools and hospitals. The small box and compact side guides reduce the spatial requirements particularly when compared to steel options and the combination of a motor, sprung cables and solenoid to ensure closure in all conditions.